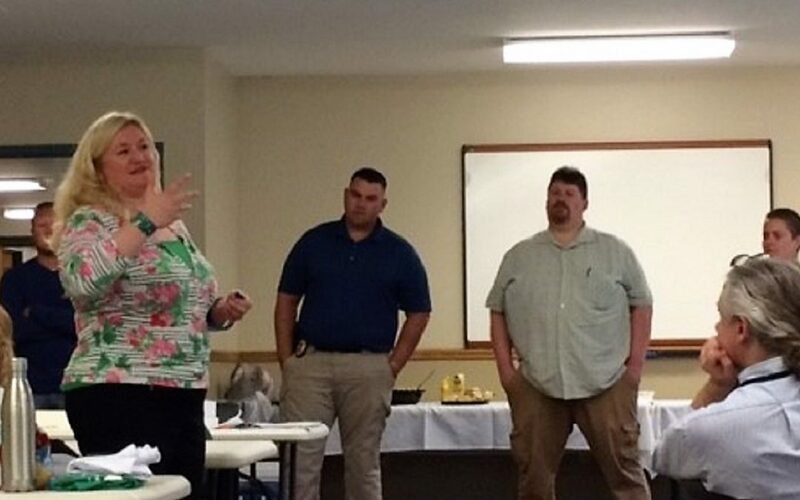 Stewards from Allegany County Local 2574 received training in Belmont, NY. The day-long session was led by Tracy Monahan and John English from AFSCME International, and it covered a wide range of topics including the duty of fair representation, contracts, workplace action, and the statewide vote that is being held in November on the proposed constitutional convention. Local 2574 stewards used this training to learn more about Weingarten rights (the legal right for union members to have a steward present during disciplinary meetings), handling grievances, and the history of the labor movement.